DAYTONA BEACH, FL – On Friday, March 29, 2019, at 9 a.m., the We Are Our Answer B-CU Campus Cohort will host a a press conference and check presentation in the President's Banquet Room of the Mary McLeod Bethune Performing Arts Center and officially kick off the second phase of the We Are Our Answer, $1.5 million campaign. As the University has undergone reorganization that included a hiring freeze, reductions in staff and furloughs, 85 faculty and staff, who are alumni of B-CU, rallied around the mission of B-CU to strategize on how to assist the Institution and identify ways to increase alumni giving, thus forming the We Are Our Answer (WAOA) Fundraising Initiative. Their campaign is aimed at increasing support for university operations in light of financial challenges posing a threat to Bethune-Cookman University’s accreditation. "Phase one of our two-part campaign was to raise $15,000 from the Campus Alumni Cohort, and then lead the effort in phase two to raise $1.5M from alumni and friends (corporations, churches, nonprofits, individuals) nationwide. To date, we have exceeded our initial goal, raising $26,633," said Dr. Camesha Whittaker -Manzueta, Cohort Spearhead and Director of the B-CU B.J. Moore Center for Faculty Innovation. Recently, the Cohort presented the campaign's goals to nearly 100 individuals during the Ninth Annual Alumni Day of Service hosted on the campus of B-CU and have since garnered the support from alumni nationwide, including the 28 chapters of the National Alumni Association. "I believe the We Are Our Answer Initiative will resonate with people who see the value of first giving to what you believe in before asking others to do the same. 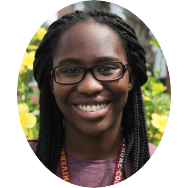 The B-CU Campus Alumni believe in the vision and legacy of Dr. Mary McLeod Bethune and the mission of this university and are committed to playing their part in ensuring its preservation," Whittaker- Manzueta added. Funds raised will be directed to university operational expenses. Click here to make a donation to the We Are Our Answer Fundraising Initiative.